An illegal alien who murdered his girlfriend two weeks after being released from custody had also had his immigration status flagged by Immigration and Customs Enforcement authorities, a report from the Santa Rosa Press Democrat has revealed. Nery Israel Estrada-Margos, 38, turned himself into local police on Friday morning after allegedly beating his girlfriend to death following a heated argument. Officials from Immigration and Customs Enforcement (ICE) asked to be notified when Estrada-Margos was released from custody after he met the $30,000 bail due to his immigration status. However, federal agents did not pick him up. Under the California Trust Act (CTA,) which is designed to “limit cruel and costly immigration ‘hold’ requests in local jails,” federal immigration officials will only be informed of a release if the person has been convicted of a felony. According to Sheriff’s spokesman Sgt. Spencer Crum, Estrada-Margos had no prior convictions and under the CTA, law enforcement officials had no obligation to notify ICE about his release. 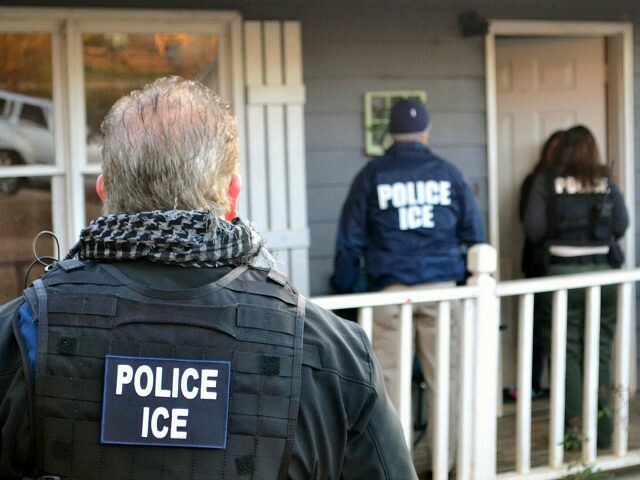 Under legislation passed earlier this year, Californian law enforcement agencies are prohibited from helping federal immigration enforcement, qualifying the city as a ‘sanctuary state.’ Approval of the bill was seen as a defiance of President Donald Trump’s crackdown on illegal immigration.